Canaan was God's "Promised Land" to the Israelites. 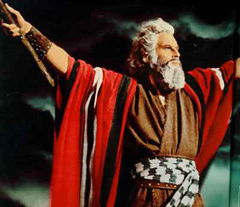 Upon their arrival, Moses sent twelve spies to check out the land. All twelve spies reported that the land was beautiful and awesome. Ten of the twelve spies fearfully said the land was possessed by giants which they could never defeat. Only two spies believed they could defeat the giants and claim the land which God had promised to them. Interestingly, God described the lack of faith by the ten spies not simply as negative, but evil. The "giants" in our scenario are an anti-America president Obama with a billion dollars to spend on his lie-filled reelection campaign and a sycophant liberal mainstream media openly committed to his reelection and goals. Please do not misinterpret what I am about to say. I am not endorsing Michele Bachmann or any candidate for that matter. But I heard a conservative say, "No, we absolutely can not select Bachmann because she is unelectable!" I ask, Why is Bachmann unelectable? What has Bachmann said or done that is so crazy or stupid? What did I miss? In reality, because the "giants" — i.e., the mainstream media — have labeled Bachmann "extreme," conservatives fearful of Obama being reelected have disqualified Bachmann. The "giants" tag team of the Obama administration and the liberal media who have successfully taken Cain out of the race, will repeat this process, destroying each of our candidates until the last candidate standing is the moderate they really want to run against Obama — namely, Mitt Romney. They know that Romney is a clone of John McCain whom Obama defeated four years ago. Here is an example of allowing the left to call the shots. During a Republican Presidential Debate on ABC, the candidates were basically asked if they knew what it is like to be poor. Each candidate began defending his or her success. The liberal moderator's question, which would never be asked of a democrat, was rooted in the stereotype that Republicans are rich white racists. Also, hidden in their question was "class envy" which is the main strategy of Obama's reelection campaign. Meanwhile, mega-rich Democrats such as the late Ted Kennedy, John Kerry, Nancy Pelosi and Harry Reid have never been asked to defend their wealth. Speaking of controlling the language, a conservative pollster suggested that we refrain from using the term, "Capitalism" because it turns-off the Occupiers. This is yet another example of "allowing the inmates to run the asylum" — that is, operating out of fear. Capitalism is not a dirty word. Why should we surrender to the Occupiers allowing them to make it dirty? God has designed life in such a way that success requires risk and backbone. In life, sometimes you win and sometimes you lose. Risk-takers experience what Jim McKay of ABC Sports described as, "The thrill of victory and the agony of defeat!" By the way, liberals believe that God's system is unfair and seek to legislate equal outcomes in the name of fairness. In our quest to defeat Obama, due to his horrific record, we hold the winning hand. Failure would be the consequence of fear. It will require backbone to defeat our "giants" (Obama and his media). We must not allow Obama and company to select our presidential candidate. This requires that we cease allowing them to call the shots. Conservatives must boldly go and stay on offense in our fight to defeat the "giants," who currently occupy our great land, in 2012.